CS ROMANIA is participating in the SpaceOps congress in Marseilles, from May 28th to June 1st, 2018. 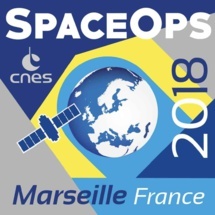 Organized by the CNES (National Center for Space Studies), SpaceOps 2018 is a technical forum of the Space Mission Operations and Ground Systems community that addresses state-of-the-art operations principles, methods, and tools of advanced exploitation. “OrbiPro – a toolbox for accurate orbit propagation”, presented by Lucian F. Barbulescu, from CS ROMANIA, on May 31st 2018 in scientific papers section “GNC-05. GNC – Interplanetary Missions”. For more information on the congress please go here.